I wanted to pass on this info to my friends and clients from Kimberly Sawyer, crime prevention specialist, who posted on a neighborhood website. Deputies respond to homes and businesses throughout the year to investigate a variety of crimes. The initial duty of a responding officer is to collect as much information as possible about the crime, so that the investigators who follow up on the incident, will be able to identify and arrest the persons responsible. One of the most exciting pieces of evidence a deputy can collect at a crime scene, is high quality video of the incident. While “a picture is worth a thousand words,” video is worth a thousand pictures. Surveillance video from homes and businesses is very helpful in identifying suspects and placing them at the scene of the crime—both are crucial pieces of information required for successful prosecution. While more and more homes and businesses have video systems installed, it has been our experience too often that cameras located in the vicinity of a crime scene are not operational or are outdated and the quality of the video is not usable. Whether you are a resident or a business owner in Laguna Niguel, please take a few minutes to inspect your surveillance cameras to ensure that lenses are clean and that the system is operational—recording video to a DVR or a cloud. 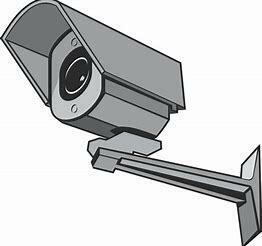 If your home or business does not have a surveillance video system, please consider installing one. It could help us solve a crime at your location or your neighbor’s in the future.